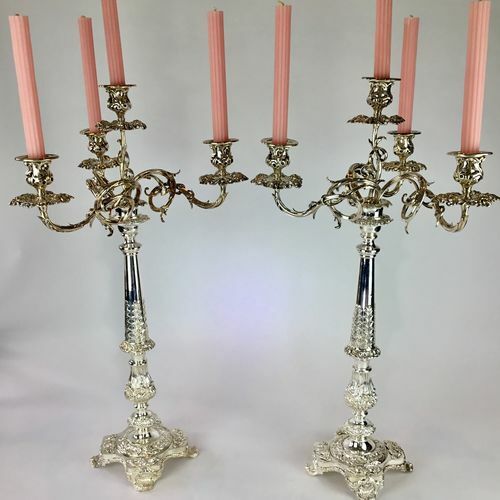 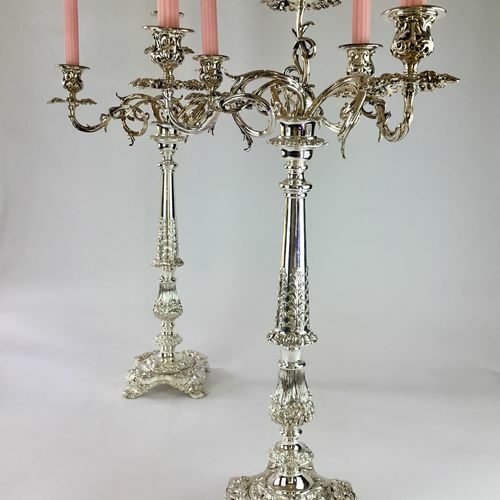 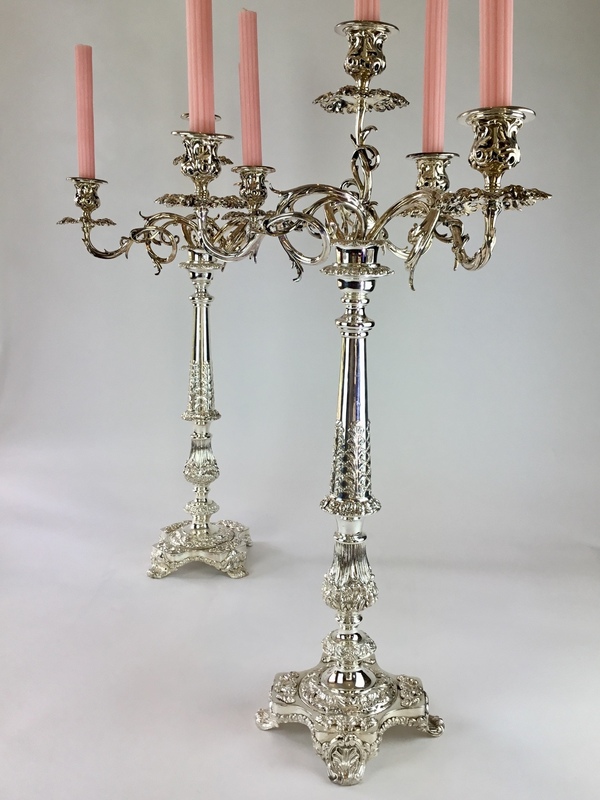 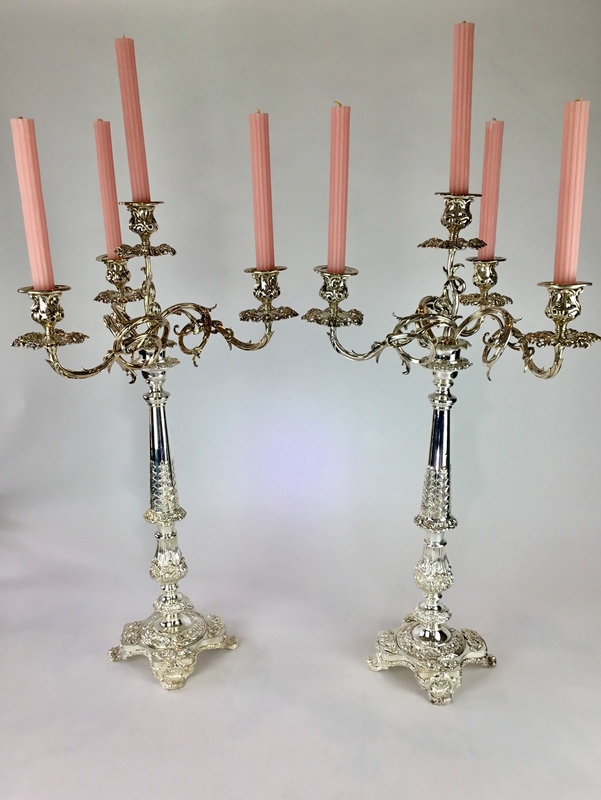 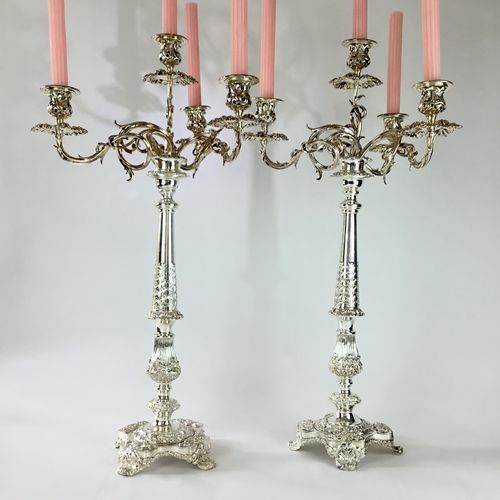 A quite superb pair of super-tall old Sheffield silver plated four-light candelabra in the style of Matthew Boulton, Circa 1820. 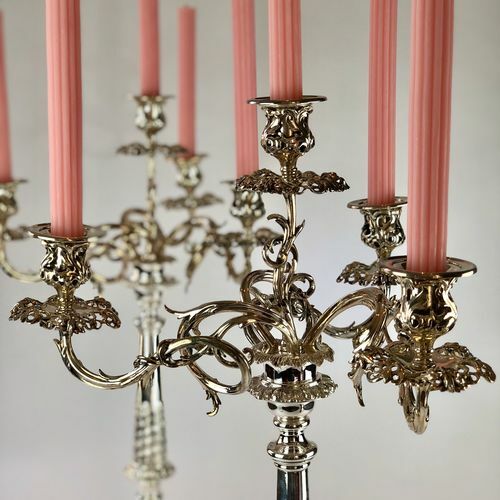 These maganificent candelabra are exquisitely made. 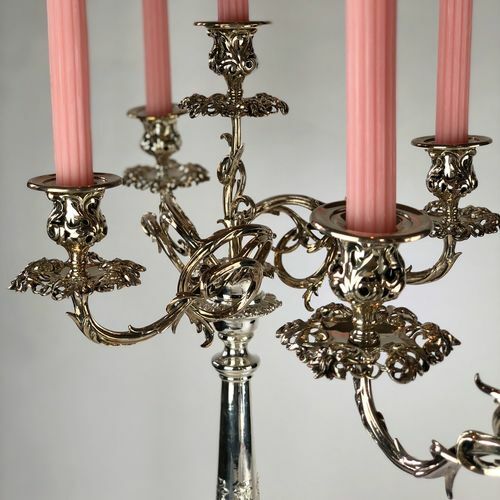 Each removable arm is numbered (1-8) so that it slides smoothly into its correct position. 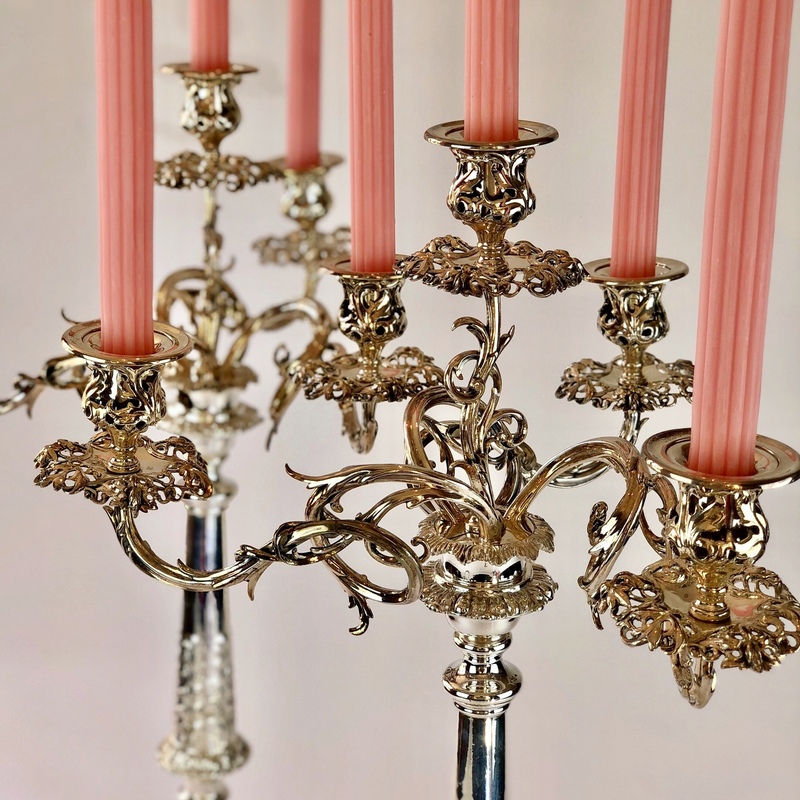 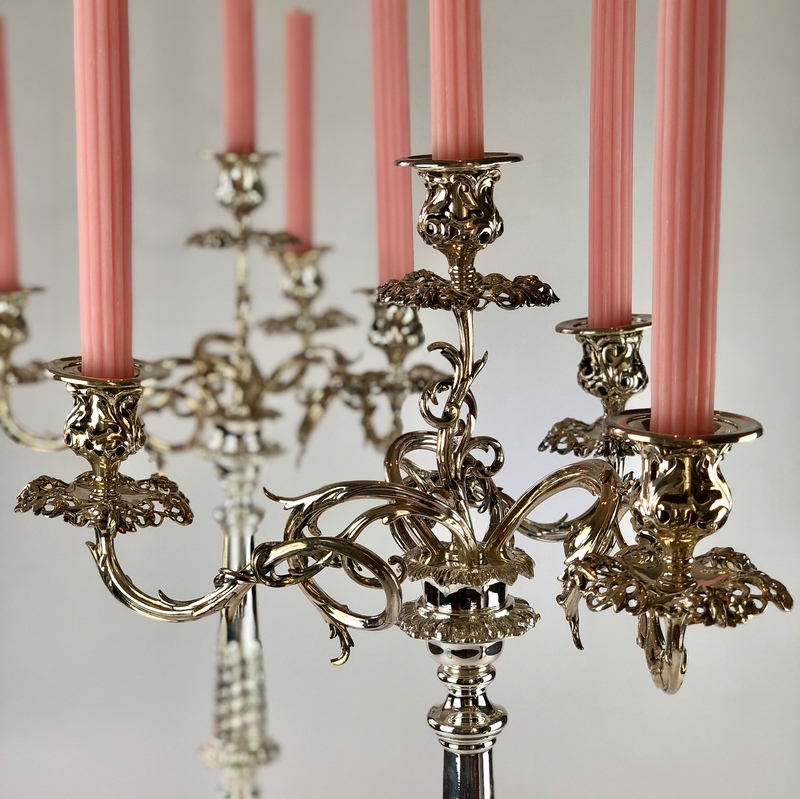 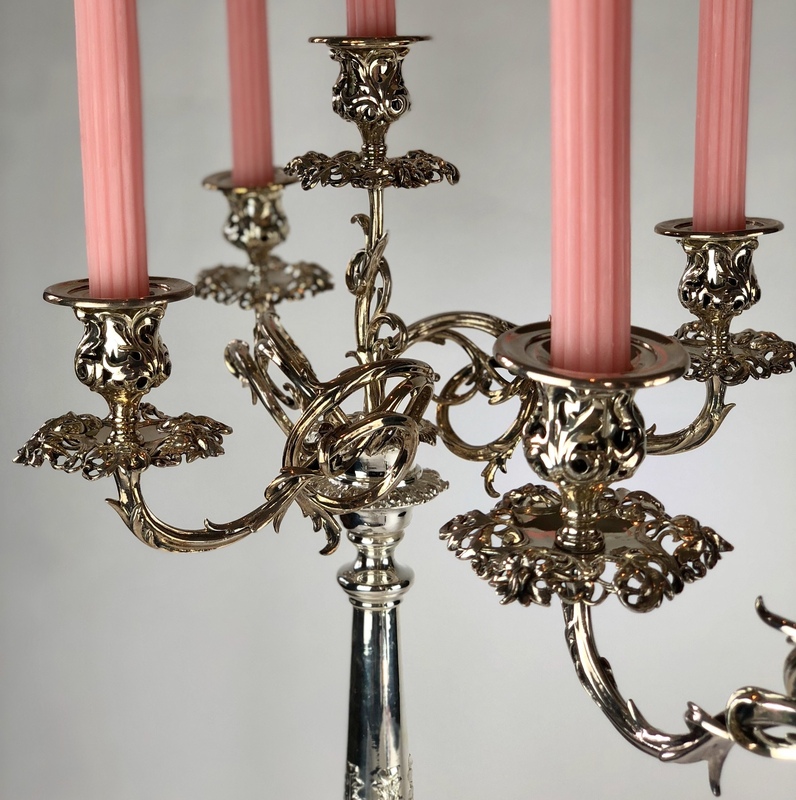 The removable candledrip catchers are stamped Elkington but are likely to be a later addition to the original much earlier candelabra, which are similar in design to work by Matthew Boulton.